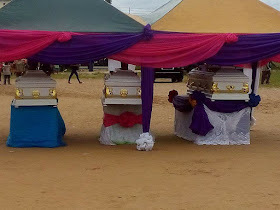 The All Progressives Congress (APC) chieftain who was gruesomely murdered by assassins in Rivers state has been laid to his along with his wife and son. 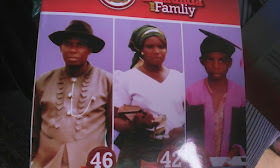 Late Comr Franklin Obi, the Ward 4 chairman in Omoku, the headquarters of Ogba/Egbema/Ndoni Local Government Area of Rivers State, was beheaded by the gunmen who also killed his wife, Mrs Iheoma Obi, and 18-year-old son, Bestman Obi, in their residence earlier this year. The assailants took the head of the APC leader away, while the daughter of the deceased, Victory, cried at the sight of the gruesome killing of her dad, mum and brother. 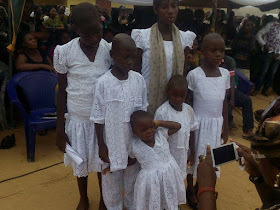 The unknown assailants left behind six orphans as seen n the picture below...Quite sad.